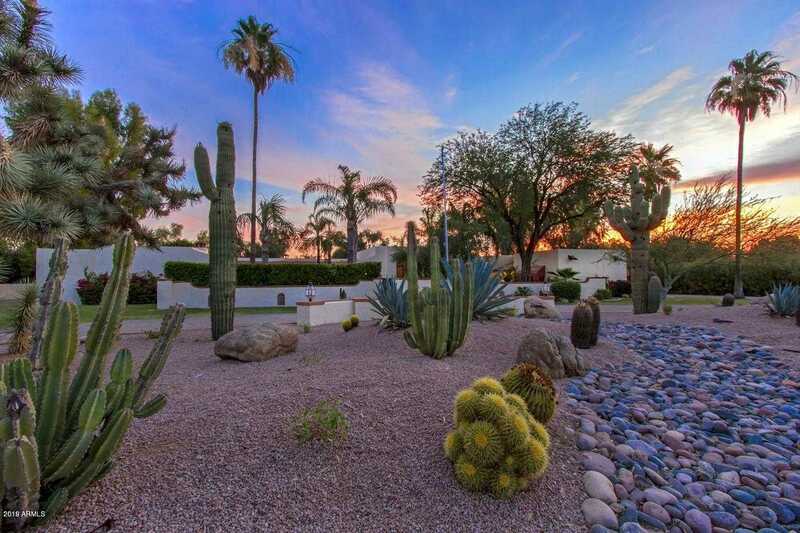 Charming Spanish Mediterranean, within Paradise Valley’s highly coveted Camelback Country Club Estates. The home sits on one of the most peaceful, private acre+ lots in the Club. N/S facing with mountain views, mature landscape, sweeping circular drive & a private courtyard pool reminiscent of a Beverly Hills Hotel Villa. Backyard is a one of a kind, peaceful oasis with citrus, olive and queen palm trees. Potential galore with this beauty & a rare opportunity to make it your own. Lowest priced home in the Country Club & located in the 3-C’s schools. Directions: North on Mockingbird Ln to Northern. Continue north into CC Estates (68th). Left on Maverick Rd. Approximate size: 46429.00 sq. ft.